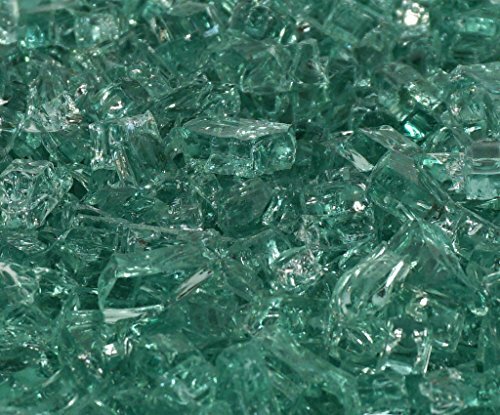 1/2" Emerald Green / Evergreen Fireglass 10 Pound Bag | Fountain City Art Ctr. This is our Emerald Green / Evergreen Fireglass. The Fire Glass is approximately 1/2" in size. The quantity is for 10 pounds of glass. If you need 50 pounds, order quantity of 5, if you need 100 pounds, order quantity of 10. 8 pounds covers approx 1 sq. ft. 1 inch deep. Great for Fire Pits and Fireplaces or Fountains or any Water Feature. If you have any questions about this product by Fire On Glass, contact us by completing and submitting the form below. If you are looking for a specif part number, please include it with your message.